Waiver of subrogation is an agreement between two parties in which one party agrees to waive the subrogation rights against another party in the event of a loss. The aim of this waiver is to prohibit one party’s insurer from pursuing subrogation against another party. This type of arrangement is acceptable under circumstances in which the insured could be held liable for a paid claim. An example of waiver of subrogation can be seen when a tenant takes out a renter’s insurance policy after renting an apartment from the landlord. The tenant makes an agreement with the tenant that he wont be help liable for any sort of damage to the apartment. If, however, damage occurs, the insurance company could pay the claim for damage to the landlord and then they can go to the tenant for the damage. But in case of waiver of subrogation, the insurer is prevented from doing this. 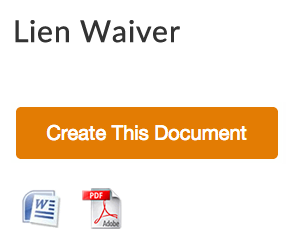 Why do we need waiver of subrogation? Waiver of subrogation helps to waive the right of a claimant to pursue a claim made against the responsible party. This waiver of subrogation is needed because it ultimately prevents the insurance company from collecting payment for a claim made after the insured has been paid. An insurance company has a right to subrogate the third party, which is actually responsible for the loss that is paid to the insured. When a waiver is present in the contract, the subrogation rights are waived for the insurer. And then the insurance carrier is unable to take any legal action and recover damages from the third party that is responsible for the loss. A landlord may also be badly affected by this result since the tenant whose judgment in favor of insurer, will be burdened to pay the monthly rental payments to the landlord. A waiver of subrogation clause in the lease agreement helps prevent this unintended result by prohibiting the landlord’s insurer from collecting a claim from the tenant. Thus, when wisely used, waiver of subrogation is a very useful agreement for the third party in the event of any loss.